Whether you’re driving to a relative’s house or shopping at the mall, holiday traffic can quickly become a source of frustration. It can also become stressful, however, when this stress turns to road rage. 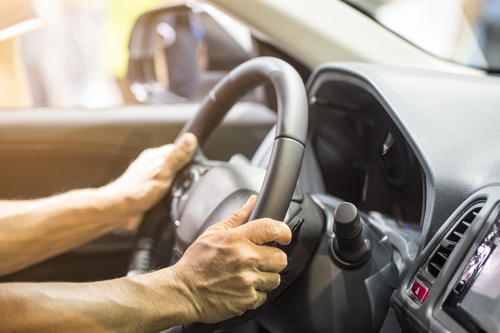 With the temperatures already starting to drop around the country, the automotive repair specialists at your local ABRA Auto have a few tips to keep you and your passengers safe this holiday season. When encountering holiday traffic, remain vigilant at all times. Remember to keep a safe distance from the vehicles in front of you, so you have ample braking distance if the car in front of you stops suddenly as well as extra space if you need to navigate out of a particularly busy area. Also, remember to always use your signal. Not only is it the law, but it’s also a courtesy to other drivers and can prevent any possible confrontation. While road rage is avoidable, accidents aren’t. If you need collision repair this holiday season, call your neighborhood ABRA auto body shop. With their experience and expertise, their technicians will restore your vehicle back to its original condition so you can concentrate on the holiday festivities.